Jakarta- The Agency for Meteorology Climatology and Geophysics of Republic of Indonesia (BMKG) held graduation ceremony for 271 cadets from School of Meteorology Climatology and Geophysics of Indonesia (STMKG) at BMKG's Auditorium building, Kemayoran, Jakarta (19/10). STMKG is a school that producing competent and global human resources in meteorology, climatology, geophysics field. Acting Director General of BMKG, Dr. Widada Sulistya said in his speech that global challenge facing BMKG right now, require all cadets to be prepared with the knowledge that they learned in STMKG. He also hope that all cadets to be ready to serve the people and the country wherever they will be placed. The cadets later will be placed all around Indonesia to fill positions in more than 180 BMKG station from Sumatera Island to Papua Island. 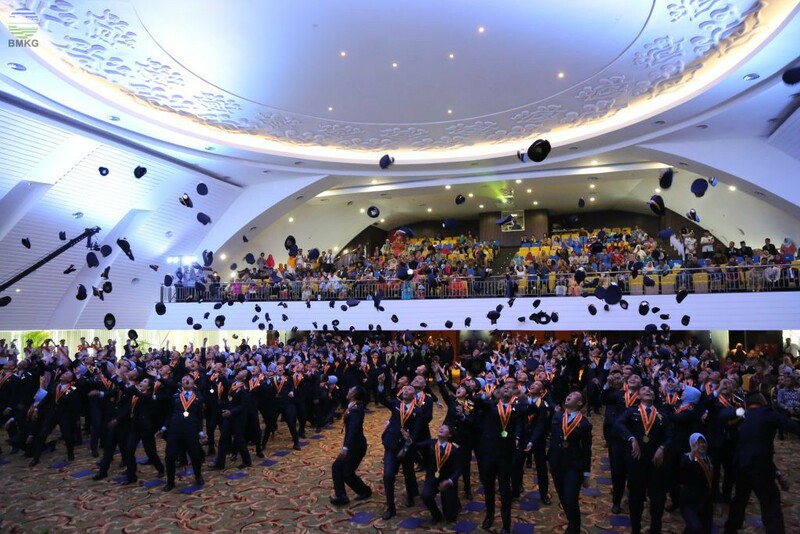 Among 271 graduates there are 5 cadets from National Army of Indonesia (TNI).